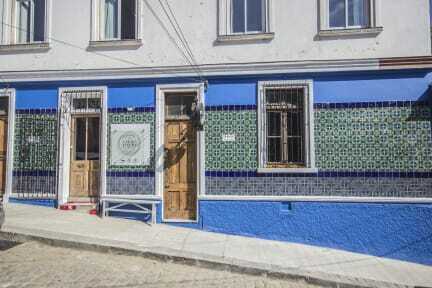 Cerro Alegre Guest House is located on Cerro Alegre hill, the most historical and central area of Valparaiso, within walking distance of all major attractions and restaurants in the area. This beautifully renovated house takes property art to a whole new level. Each double and triple room has been meticulously decorated. All of them will provide our guests with supreme comfort and security during their stay. Our guests are welcome to use free WiFi internet. A delicious healthy breakfast is provided including toast, cereal, fresh fruit, eggs and juice. We appreciate the importance of cleanliness, and ensure our property is very well-kept. Our facilities include private and common bathrooms and a restaurant.